Every ten years a girl from the valley is chosen by a wizard called the Dragon, to live with him in his tower. The chosen girls come back after ten years, but they never stay in the valley. This is the price the people of the valley pay for his protection from the corruption of the Wood and its unnatural powers. Agnieszka and her friend Kasia are of an age to be chosen, though everyone assumes that beautiful, poised Kasia will be the chosen girl, and there is nothing Agnieszka can do to stop it. When Agnieszka is chosen it is a surprise to everyone and she must adjust to a life she doesn’t understand and never wanted, without help from friends, family or her sarcastic captor. Agnieszka discovers a lot about herself in the Dragon’s tower, but fears loosing her connection to the people and places she loves. 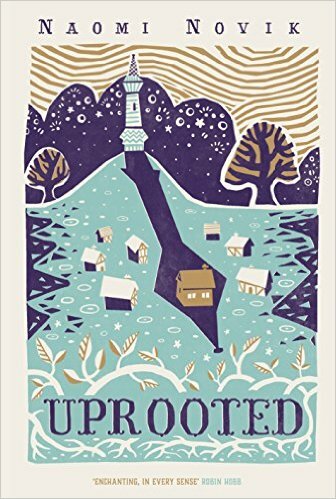 Uprooted is based on traditional eastern European folk stories, which is not an tradition I personally know well, but the book does have a strong feel to it. 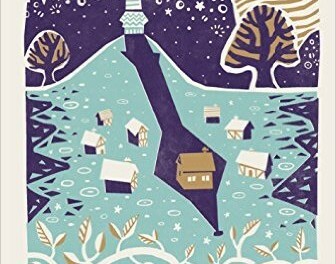 It’s clear that Naomi Novik has a deep affection for these tales, as deep as her main character’s connection to the valley where she lives. The setting is strong throughout the book; the sense of place is vital to the story and contrasts with the malign and corrupt presence of the Wood. Agnieszka’s village and the lives of ordinary, rural people are described lovingly through the voice of one who belongs and clings strongly to that sense of place and home, all the more so when she is taken from that life. I liked that there was no map of the valley at the front of book, despite being a fantasy reader I’m not always too bothered about maps myself, and in this case a map wasn’t needed. Agnieszka doesn’t need a map to describe her valley because it is not lines on paper to her, it is people and homes and events; the changing of the seasons, family and friends, the routine tasks that must be done, the breaks from routine (both pleasant and terrible), and her community. It is interesting that early on in her new life Agnieszka reacts badly to a map of the valley, initially unable to identify it and then unnerved by it once she does. The sense of Agnieszka’s connection to the valley is heightened by descriptions of other places. The Wood is unnaturally still and quiet, unsettling to anyone; its wrongness is heightened by Agnieszka’s references to the mundane, comfortable woodland where she is an expert in foraging. It is not just the antagonistic force of the Wood that contrasts with the valley. Agnieszka travels to the Capital, a place full of grand buildings, courtiers, servants, politics and intrigues, which is even more different from her own milieu than the Wood, and harder for her to comprehend. The story is told in first person viewpoint by Agnieszka who doesn’t have a high opinion of herself and so there is a self-deprecation that informs Agnieszka’s view of others. Though this changes subtly over the course of the book as she gains more confidence, Agnieszka is rarely ungenerous to those around her. I love that Agnieszka is dowdy and messy and just accepts these things about herself and gets on with things. The strongest relationship in the story is between Agnieszka and her best friend Kasia, their closeness overshadowed by the knowledge that they will be torn apart when they are seventeen. Agnieszka’s love for her friend and determination not to lose her is the driving force early on, and remains steady even as the wide-ranging consequences of Agnieszka’s actions overwhelm the characters. The bond between the two young women is shown throughout and explored in both good and bad ways. The other main character is the Dragon, the aloof wizard-lord of the valley who is respected but also a figure of fear. 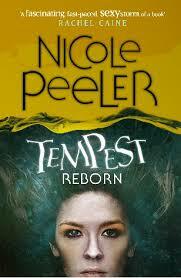 At first he is terrifying to Agnieszka, her captor who she mistakenly believes is sucking the life from her. As the story progresses she sees past his cold, uncommunicative sarcasm and insults to understand more of his history and true motivations. The Dragon’s characterisation is done well, and I can’t fault Novik for the way he is portrayed, she has created a complex and believable character in him. It’s just unfortunate that the way he behaves towards Agnieszka and the way the two characters develop falls into a trope that I personally don’t enjoy. The trope is handled very well, and never bothered me as much as it has in other stories, in fact I think it may be one of the best ways this type of story could have been done, it’s just something I don’t enjoy in general. I think because this book is subversive in other ways I’d hoped this plotline would be subverted more. On the other hand it’s not surprising that a book based on traditional tales has traditional ingredients and I’m aware that my feelings here are very subjective. I can certainly see others enjoying everything that is done here. There is a strong cast of secondary characters, who form a reasonably large group, but it doesn’t feel that way because each inhabits their place is the story so well. The people of their village and other folk of the valley fit well into the background as much a part of the setting as the land and the river, Agnieszka’s fear of losing her place within this setting is a strong thread throughout. There’s a Prince, who seems charming only briefly and is soon shown to be arrogant and dangerous, though even he has enough characterisation to be complex. There are the Court wizards, one a pompous academic, one a courtier who enjoys intrigues and politicking, and one a black woman who is also a blacksmith and warrior. Putting a woman of colour in a story set in this traditionally-based European setting without any sense of dissonance shows how simple it is to include diverse characters. Arguments of so-called “historical accuracy” should not be the concern of fantasy worlds, and often show just how inaccurate current ideas of history are. There are royals and courtiers, nobles and soldiers, farmers and woodcutters, anyone who Agnieszka gets to know is given enough character and background to feel real, because she cares about people. As the events of the book become more serious Agnieszka feels guilty for not knowing more about those who die. The magic in the book seems tradition in different ways. There’s the ordered, codified magic of the Dragon and court wizards, which is investigated, studied and set down in tomes. There’s Agnieszka’s instinctive magic, something she’s barely aware of at first and must feel her own way through despite others’ insistence that she is doing things wrong. Her only reliable guide is that of a centuries-dead witch of legend, who has been entirely dismissed by mainstream, academic-style magic. As this type of magic is used by the narrator it is the one we see most of and the descriptions of it remind me of how Diana Wynne Jones describes magic in many of her books, which I intend as a high compliment. Magic as something instinctive and intuitive -something that can be felt on a deeper level than reading instructions, saying words and doing gestures- is something that appeals to me in fiction and it fits so beautifully in this story and with this character. Agnieszka’s magic mixes well with others, perhaps because Agnieszka is good at reading other people. Although the Dragon initially dismisses her way of doing things, trying to force Agnieszka into the magic he understands, he soon can’t deny that her way is effective and when they mix their magics it produces unexpected results for both. It is good to see young, modest Agnieszka able to reduce a centuries-old, haughty wizard to a state of confusion and ignorance. There’s also the power of the Wood, whose origins are only explored towards the end of the book, which is presented throughout as corruption and control. It is terrifying in its power and its indifference to human lives and will. Uprooted is an inventive and very enjoyable book. The reader is quickly immersed in the world of the book and the viewpoint of the main character, and carried along by a story where the horizons keep expanding and the stakes keep rising. The story initially feels simple, but grows in complexity and imagination. The strength of the central female friendship is refreshing as something that isn’t always portrayed as important in fantasy books. 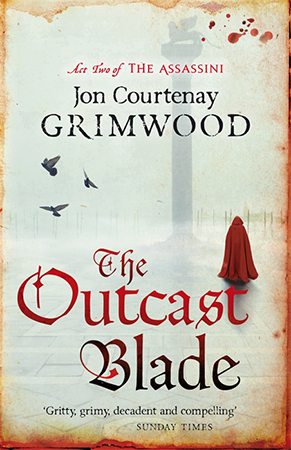 The subversion of some generic fantasy tropes and attitudes –especially those regarding the worth of rural folk and common soldiers- is nicely done. It is an excellent book and well worth the attention it is getting.